THE MAC DADDY BRAND OF CLOTHES IS LIFTING OFF WITH "SKYSCRAPER" JACKETS, T-SHIRTS AND PATCHES. MAC DADDY's "SKYSCRAPER" T- shirts are Pre Shrunk, SUPER-HEAVY-grade & 100% cotton. The embroidery is first class. This is a superior quality shirt. Lounge around, or wear it to your favorite night spot. Available in S,M,L,XL,$25, XXL $30. Shipping $7 one shirt, 11 for 2 in the USA. Outside the USA More. ***Due to the grade of cotton required, round neck or "V" neck may be interchanged WITHOUT NOTICE!! Cadillac Couches that light up and are 100% real!! 3 month build time. YEAR DESIRED..ON AVAILABILITY ! 15K. Shipping extra. Our Model wears The "SKYSCRAPERS" Jacket well! It's a 240,000 stitch embroidered emblem. It comes complete with your name embroidered on the front chest area for FREE. The jacket is a top of the line QUILT lined DICKIES Jacket. TOP QUALITY !!! Avai;able in S,M,L,XL for $220 Delivery price included IN THE USA. Other sizes available at $20 more per jacket Size. Shipping outside the USA is MORE! The Jacket embroidery is 12 inches BY 9 inches. We use the best thread... and much of the thread count is metallic. This is a NO DISAPPINTMENT JACKET!! Your jacket comes complete with your name or nick name embroidered onto your right front chest area. You then... on your own.. can decorate your jacket.. as you desire... with anything you like. Remember.... the 59 cadillac FIN was the tallest tail fin in American Automotive History.. and as such, it represents the auto in the "SKYSCRAPER Club design and brand name. You can outfit your jacket with your favorite car marque on the arms or on the opposite chest area..... as evidenced by the location of the Cadillac Patch. The fins' are so tall, they are skyscraping a rip into the day time sky... exposing the night time stars and moon. If you look closely, you can see the big dipper. 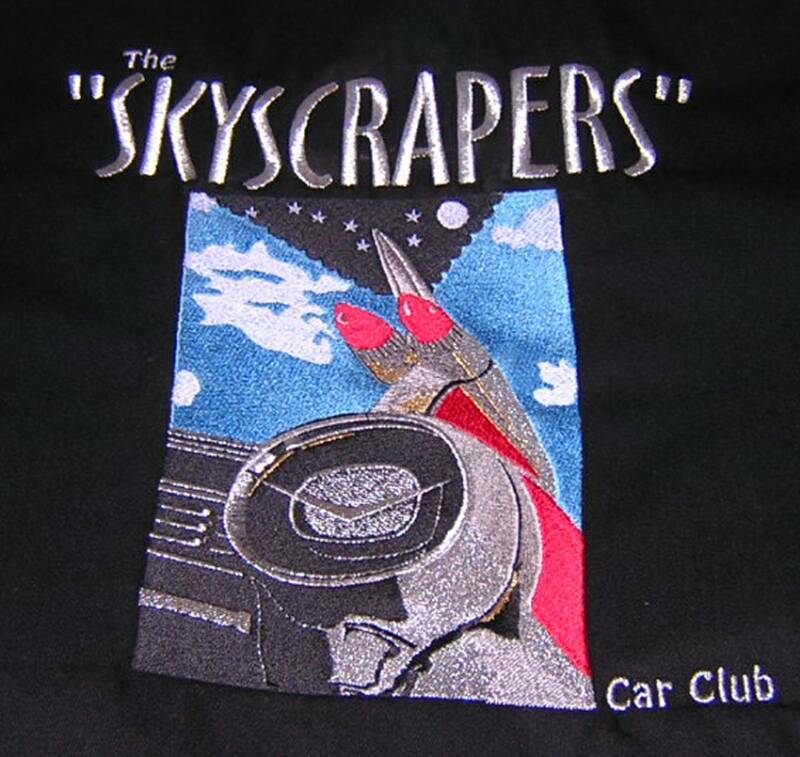 The "SKYSCRAPER" Patches.... measures 3.5 inches x 2.25 inches. 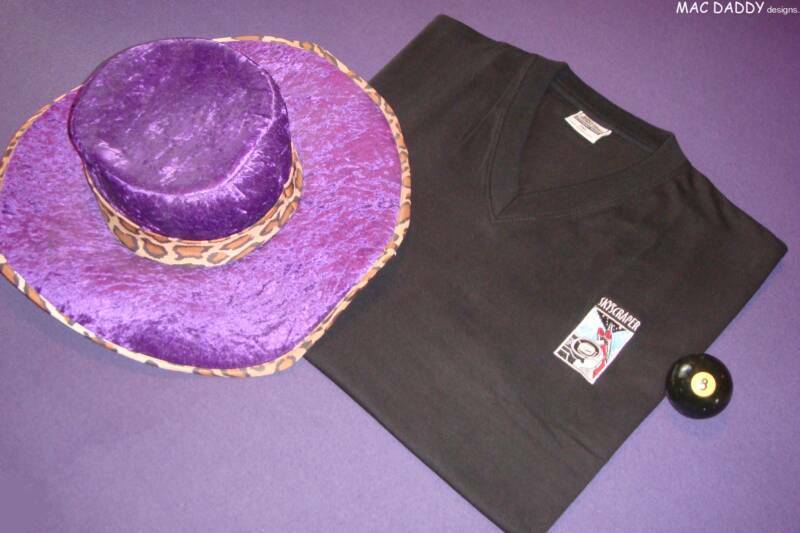 They are superior quality and have almost 60,000 stitches and are double backed. $17 dollars. Shipping in the USA $2. CHOOSE YOURS!